Take advantage of the hotel's room service (during limited hours). A complimentary continental breakfast is served daily from 8:00 AM to 10:00 AM. This hotel offers bellhop services and designated smoking areas. Enjoy a meal at the restaurant, or stay in and take advantage of the hotel's room service (during limited hours). Continental breakfasts are available daily from 7 AM to 10 AM for a fee. With a stay at OYO 16703 Hotel The Platinum in Kolkata, you'll be within a 10-minute drive of Salt Lake City Centre Mall and Salt Lake Central Park. 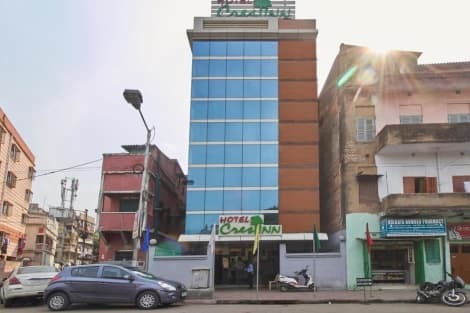 This hotel is 5.2 mi (8.3 km) from New Market and 6 mi (9.6 km) from Howrah Bridge. Offering a restaurant that serves Indian, Chinese and regional delights, LBD Resorts & Hotels is located in Kolkata. Free WiFi access is available in the rooms of the property. Each air-conditioned room here will provide you with a minibar and a seating area. Complete with a microwave, the dining area also has a refrigerator and an electric kettle. Featuring a shower, private bathroom also comes with free toiletries. You can enjoy garden view from the room. At LBD Resorts & Hotels you will find a 24-hour front desk, a garden and a terrace. Other facilities offered at the property include a shared lounge, a ticket service and a tour desk. The property offers free parking. 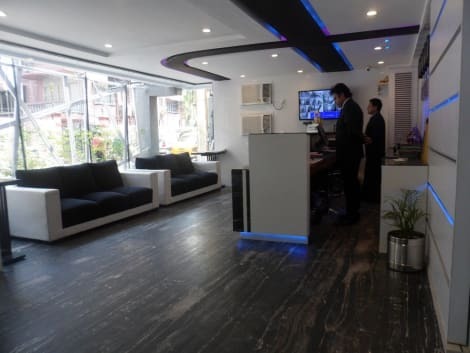 The hotel is 10 km from the Eden Garden, 13 km from the popular Victoria Memorial and 20 km from the Dakshineswar Kali Temple. The Netaji Subhash Chandra Bose International Airport is 21 km away. Relax at the full-service spa, where you can enjoy massages, body treatments, and facials. You're sure to appreciate the recreational amenities, including an outdoor pool, a steam room, and a fitness center. This Colonial hotel also features wireless Internet access (surcharge), concierge services, and babysitting/childcare (surcharge). Enjoy a meal at the restaurant, or stay in and take advantage of the hotel's 24-hour room service. Breakfast is available daily for a fee. Featured amenities include dry cleaning/laundry services, a 24-hour front desk, and luggage storage. Guests may use a roundtrip airport shuttle for a surcharge, and free self parking is available onsite. lastminute.com has a fantastic range of hotels in Kolkata, with everything from cheap hotels to luxurious five star accommodation available. We like to live up to our last minute name so remember you can book any one of our excellent Kolkata hotels up until midnight and stay the same night.